Wearing: Bizou knitted beret, Windows on the world Inspired by De La Renta Jacket, Fudge Marilyn Monroe Tank, Fallen Angel 20's necklace, Bizou belt, Bizou sparkling skirt, Stardoll bangles, Decades inspired by chanel handbag, pretty in love socks, and DKNY black bow tie platform. Hey everybody! 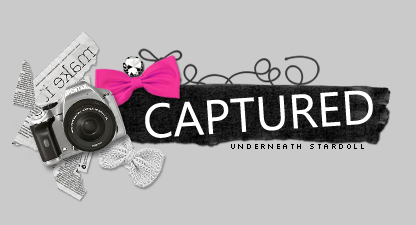 It's Jessica with todays Captured! Sorry i'm posting so late! I've been very busy. School started last week, sports tryouts are already starting, tons of homework. I'm going to be very busy for awhile so if I don't post you all will know why. Anyways, today I captured Zaceren. I personally like this outfit. I like the color scheme. It seems like something I would wear if I had those clothes. xD I like the blazer, the skirt, and the tank the best. The accessories are a good touch. I don't really like the beret.. It just doesn't look that great.. But then she has glasses under it, so without the beret something looks like it's missing.... I still do like the outfit though, it's cute. LovelyHula: I don't like this outfit..Its kind of typical..It also doesn't match at all , from what I can see. I mean its alright for a non-ss, but I bet if I went in her closet I could find something that matches better.. its okay,overall I give it a 3/10..
Amber_Doll: I think this outfit is okay it looks well coordinated besides the blue skirt which I feel doesn't match. The rest of the outfit is black and white and the skirt just pops out at me as if it doesn't belong there. I like all the accessories though. Nice choice. Anastasiarts: This outfit is really nice!! It's very elegant and fashionable but I'm not sure about the blue skirt... I don't know it look beautiful as it is but I would choose another colour maybe. Overall it's so cute and I love the stripes on her coat! Some mixed feelings there, but what do you think?